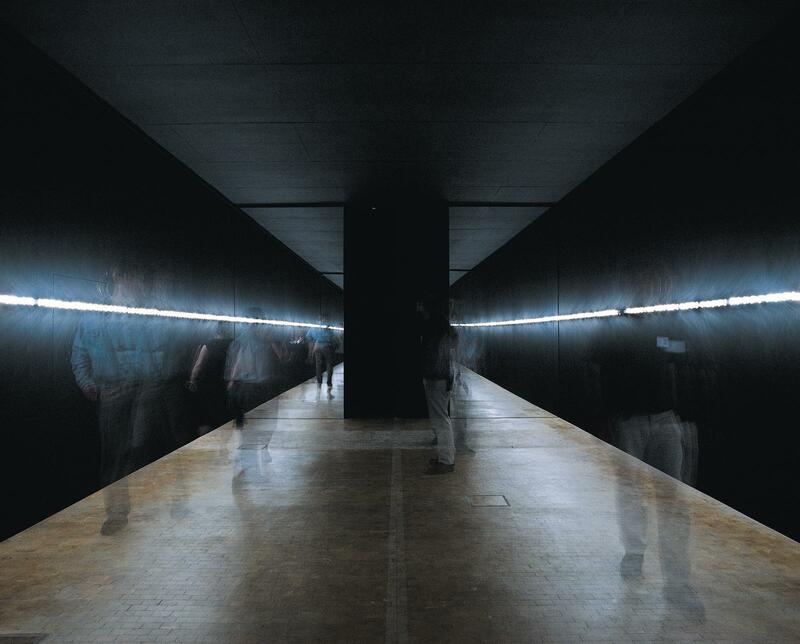 A row of irregularly flashing strobe lights is attached to the long sides of a narrow, black room at eye level. The lights are turned on when someone enters the room. At each end of the room, to the right and left, are floor-to-ceiling mirrors. The entrance/exit is between them. 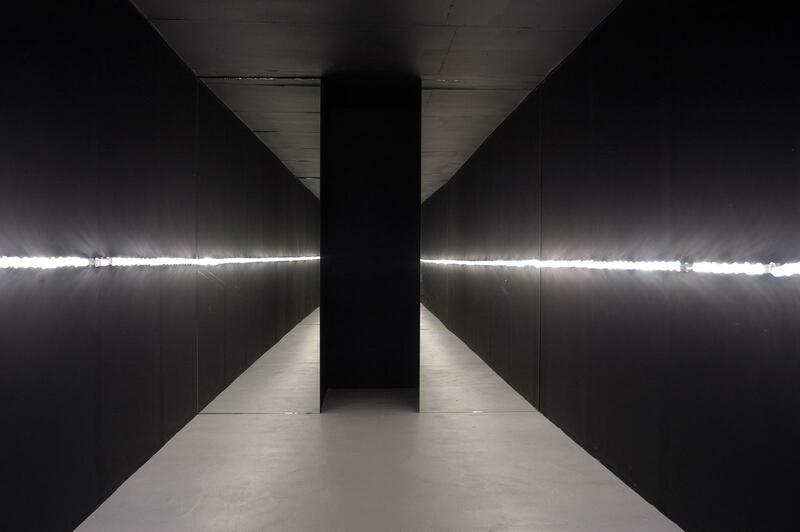 This arrangement creates the impression of an endless tunnel or an infinite line of flashing lights.